Black Friday is HERE!!!!!!! If you're like me and staying home today, there are still plenty of deals to be scored online! We have heard from a lot of our readers that the crowds are NOT worth the deals that you're able to score in-store. What is your experience??? Stay warm indoors today and shop at Walmart Online. 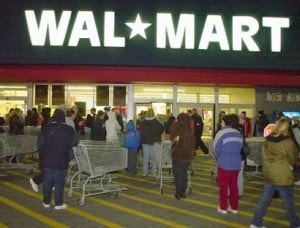 Check out the Walmart Online Black Friday Deals and enjoy the savings from the comfort of your own home.